There are approximately 20 different disorders that are classified as “vasculitis”. “Angiitis” and “Arteritis” are both synonyms for vasculitis, literally meaning “inflammation within blood vessels” or “inflammation in arteries.” Because there are so many types of vasculitis, the group is sometimes referred to in the plural: vasculitides (pronounced “vas que lit’ i deez”). There are many different types of diseases that belong to this category. Although the diseases are similar in some ways, they often differ with respect to which organs are affected, which medications are used to treat them, and other characteristics. Characterized by the triad of mouth ulcers, genital ulcers, and eye inflammation. However, other organ systems may also be affected. Mainly affects smokers, leading to decreased blood flow to the hands and feet. Associated with asthma, nasal polyps, sinusitis, elevated eosinophil counts, and vasculitis. EGPA has a tendency to involve lungs, peripheral nerves, skin, kidneys, and heart. Characterized by recurrent purpura (red dots) on the lower extremities and may be associated with hepatitis C virus infections or paraproteinemias. This disease was previously named “temporal arteritis”, and is the most common type of vasculitis in adults in North America. It is a large vessel vasculitis that affects people over the age of 50 (although most individuals affected are 70-80 years of age). It can be characterized by fever, headache, and jaw/scalp pain. This disorder is often followed after an upper respiratory tract infections and is often, but not necessarily, self-limited. A systemic vasculitis affecting small and medium–sized blood vessels associated with the autoantibody, ANCA. The prototype of systemic vasculitis, involving many different organ systems and focussed on medium–sized arteries. A syndrome of pain and stiffness localized to the shoulders and hips which often occurs in association with Giant Cell Arteritis. 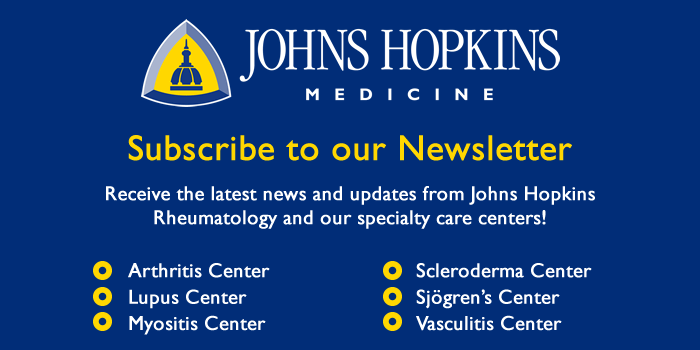 A vasculitis that sometimes complicates the course of rheumatoid arthritis (RA). Usually occurs in patients with a history of severe RA. A large vessel vasculitis that affects the aorta, its major branches to the extremities, and sometimes internal organs. Usually occurs in young women (< age 50 years). A systemic disease that involves the lungs, kidneys, upper respiratory tract, and other organs and associated with the autoantibody, ANCA.